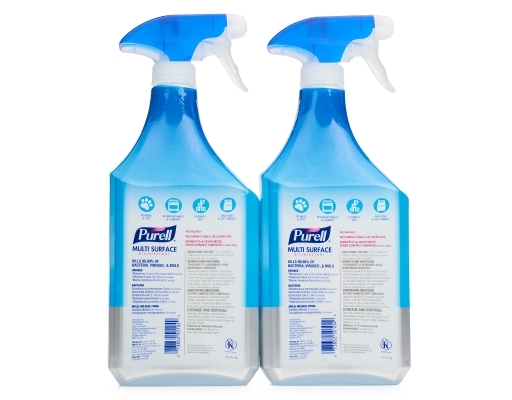 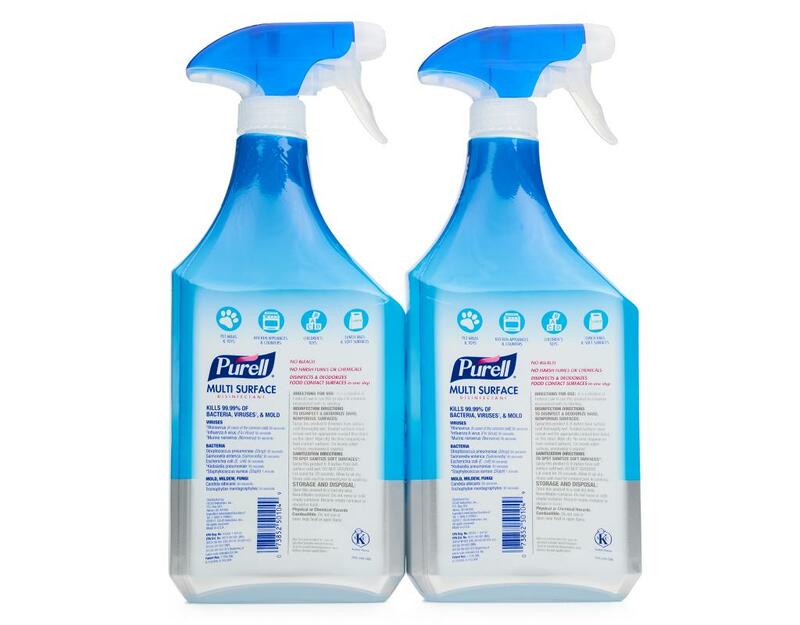 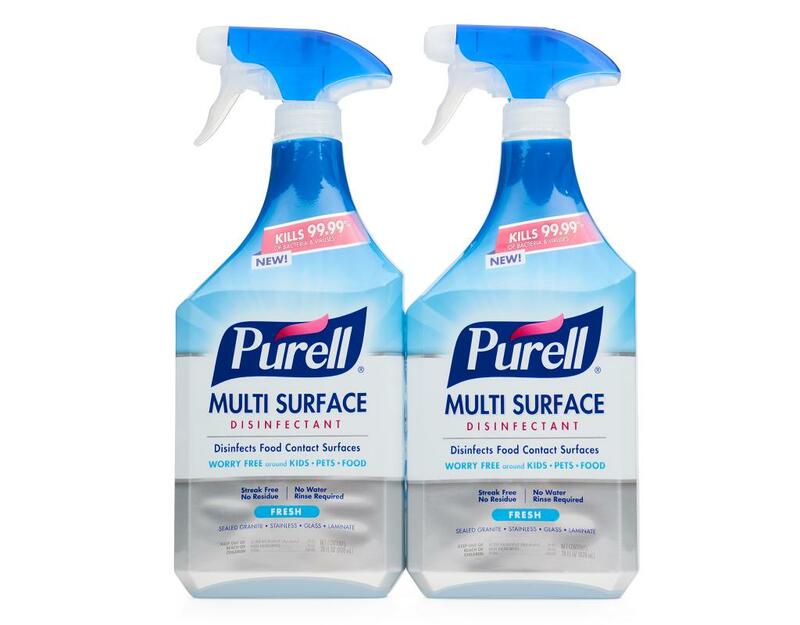 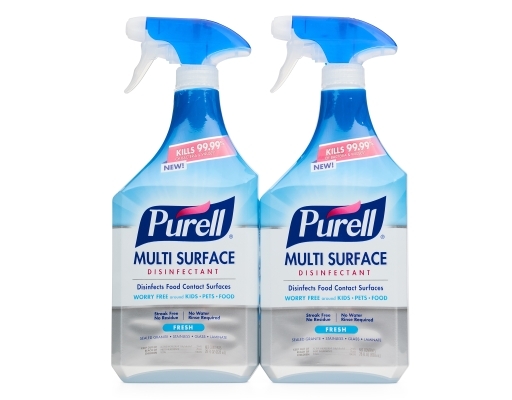 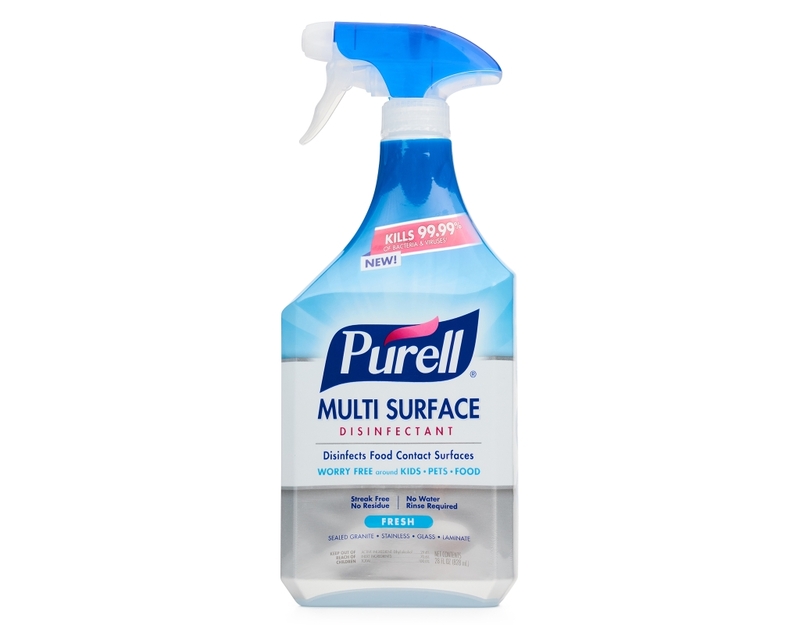 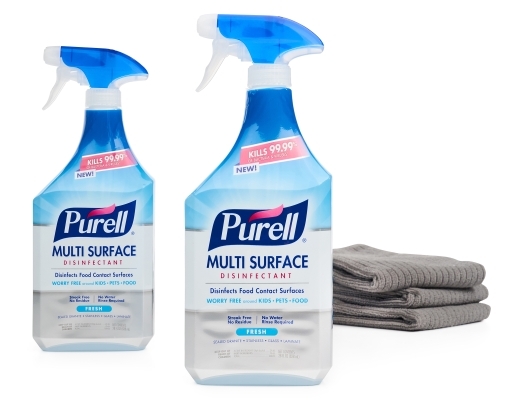 Disinfects food contact surfaces and is worry free around kids, pets, food. 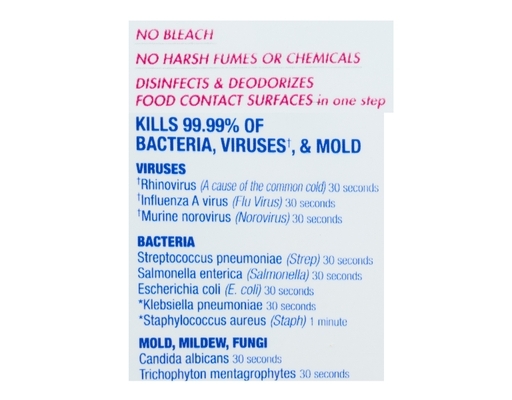 No bleach, no harsh fumes or chemicals. 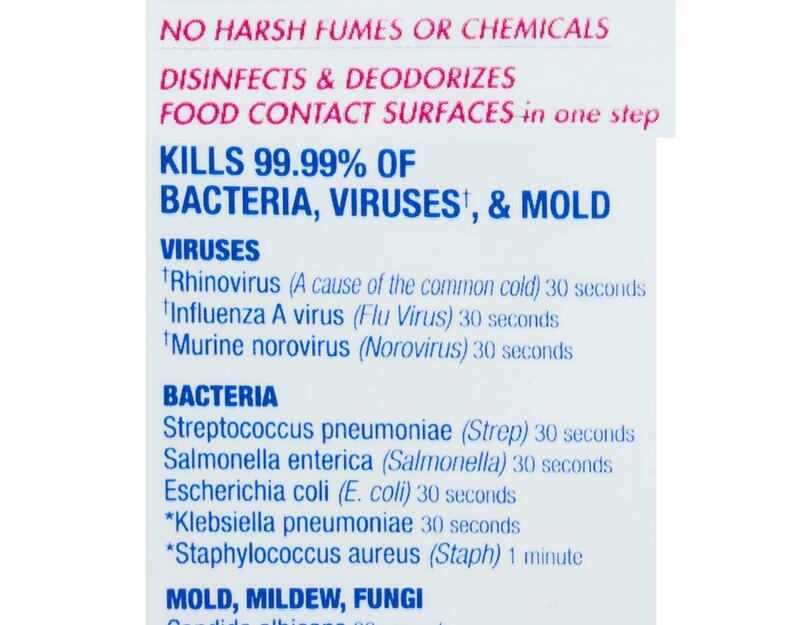 Disinfects and deodorizes food contact surfaces in one step.